Brown Bentonite Clay dusting powder. For use as a "clean" ageing dust for costumes and props. Also employed to produce safe volume special effect dust clouds. Bentonite clay dusting powder in natural brown colour for use as a "clean" ageing dust for costumes, textiles and props in theatres and displays. The clay is also used to generate special effect dust clouds in the film industry due to its ability to produce large volume dust specifically in pyrotechnic explosions and trailing dust following off-highway vehicles. Whilst "Fullers Earth" is frequently used to generate dust clouds, this generic term covers a multitude of clay sourced world-wide, and unless the precise source can be identified it does not adequately define the clay's mineralogical composition for an effective risk analysis to be made. 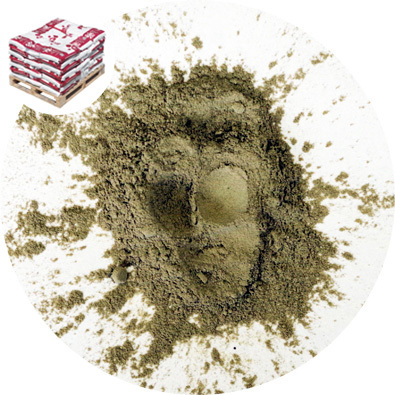 Brown Bentonite Dusting Clay is sourced from a single location with a declared composition. A full Material Safety Data Sheet is available for download. When creating airborne dust specific consideration needs to be addressed with regard to silica (SiO2 ). 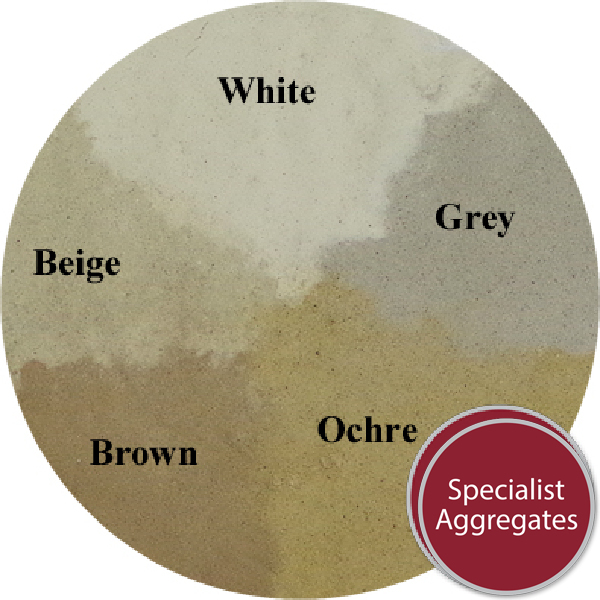 Our Grey Clay Powder has a declared silica content of less than 2%, with less than 1% potentially resparible crystalline silica. Prolonged and / or massive inhalation of resparible silica causes silicosis, and whilst this product is considered to be "low silica" adequate precautions should be addressed. The UK occupational time weighted average exposure for crystalline silica over 8 hours is 0.1mg per m3 There would appear to be little information or specific recommendation on high levels of exposure over short periods. Calcium bentonite itself is not considered to be hazard. Bentonite is a variety of clay which is predominantly composed of the mineral Montmorillonite. This brown clay is thought to be a product derived from the decomposition of volcanic ash, and is worked from sources in cyprus. 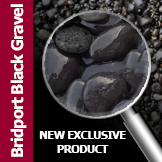 This calcium based clay is generally known as a "non-swelling clay" however, this description is misleading as all bentonite clays to a greater or lesser extent take up water and expand. 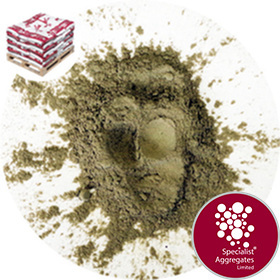 Specify: Brown Bentonite Clay Dusting Powder from Specialist Aggregates.